From one-man workstations up to fully equipped six-person rooms, this two-story building provides a warm and comfortable working atmosphere that is located just one kilometer from the central business zone of Downtown Yangon. Well connected to train and bus transportation, and close to food, beverage and entertainment facilities, this centre is ideal for those wanting to keep life balanced. Close to parks and lakes, and the Yangon Zoological Garden which provides a change of scenery when you need it. In the direct vicinity of Dagon Center and close to the Golden Valley, this business centre provides a strategic location in the heart of Yangon and has ideal private office space for between two and five people, and an open workspace available for hot desk solutions. This centre is home to a skilled, multilingual team who provide business and administrative support to members. Onsite there are also communal breakout areas suitable for networking and meeting rooms to conduct in-house meetings. With flexible and customized work space solutions, this centre offers private office suites, hot desks and virtual office services for your every business need. Interactive boardrooms, meeting rooms and private study add on further support for a complete office service. Spacious event spaces are also available within the centre for small to large events. 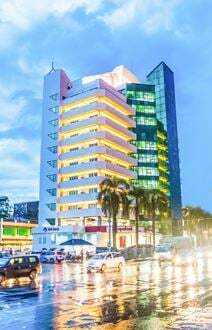 With 30 mins to Yangon International Airport, Junction City Tower office building is connected to Junction City Shopping Centre and Junction City Serviced Residences. International hotels such as Pan Pacific and Shangri-la are located within 5 minutes walking distance. Located in the heart of Chinatown, this newly-built apartment provides space for three MD desks and three staff tables. There is high-speed fibre optic Internet and a reception area. Situated in the Myanmar Centre Office Towers, this co-working space offers a floor of communal office space atop a four storey mall. Providing more than just office space, this centre also offers IT and administration support to accompany the tax, legal, financial services and advice it offers. With views of Inya Lake this centre is sure to impress clients when they visit for meetings. The perfect hub for overseas SMEs and enterprises looking to breach the Myanmar Market. Within a five-minute walk of the Myanmar Plaza this iconic and contemporary business centre provides its tenants with flexible office space, state-of0-the-art office facilities and exceptional business support services. Immerse yourself in the Myanmar market with the help of a supportive and understanding team behind you. Local to food and beverage facilities, hotels, and financial institutions, this centre has access to all you could need on a daily basis. 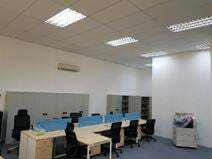 Ideally situated in the heart of downtown Yangon CBD, and surrounded by major financial institutions, banks and government offices, this business centre provides partially fitted out office space from a three-storey building that can be adjusted in terms of layout and configuration due to individual needs. Providing flexible, premium office space, this centre allows you to only pay for the space and amenities you need, for as long as you need it for, making it an ideal temporary or long term solutions depending on your needs. Situated in the heart of Yangon, this centre offers breathtaking views of the surrounding area. A centre that offers fully furnished office space which has been created with functionality and comfort in mind to create a conducive environment for your business. Private offices accommodate for two-to-six workstations and come with a range of facilities. Well connected to transport, this centre is less than a ten minute walk from ferry and bus terminals. 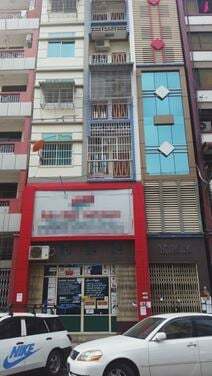 This centre is situated in the heart of Yangon's CBD, close to banks, legal, insurance and accounting firms. Offering stylish office space overlooking historic Merchant Street and providing a full range of business support services to suit your business needs. Coming in a range of sizes and configurations, the fully furnished office spaces meet international standards and are private and secure so your confidential projects are safe. 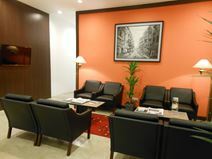 Situated in Kamayut Township, Yangon's prime district, this centre is a mere 13km from Yangon International Airport and provides modern and business friendly office solutions with modern communication facilities, a secured business-grade server with keycard access, a well stocked pantry, and numerous meeting, conference and breakout spaces for you to conduct your business and network within. As a mixed development building, this centre will help you connect to real estate and retail businesses to expand your network. With great access to the airport and a variety of public transport facilities this centre, with a prime location in a central area of Yangon, is an ideal place to set up your business. With air-conditioned workplace solutions, meeting rooms and virtual office solutions that are fully equipped with your business need and fully secured and accessible what more could you need? A recently refurbished office that is also home to many corporate businesses so networking opportunities are bountiful. This traditional leased office space is located in the heart of the downtown area with stunning Yangon river views, opposite the Botahtaung Pagoda. Office sizes vary from 700 to 5,000 sq. ft. while current tenants of the building include international representative banks and telecommunications companies to name but a few. You'll only be 10 minutes away by car from many parts of the city, making your daily commute a breeze. As part of the Shangri-la’s Sule Square commercial and retail complex, this business centre provides premium serviced office space on the 10th floor of a landmark building and offers views over the downtown skyline and the world-famous Shwedagon pagoda. Well connected to public transport options with parking on site, this centre can be access via a variety of transport options. Also close to a number of eateries, retail venues and entertainment facilities, this centre is great for those who love to socialise during the working week. Situated in the town centre of Yangoon, adjacent to Yangon University (Hlaing), this centre is part of the mixed development project and offers co-working and private office solutions with typical serviced office facilities. Easily accessible from downtown and other areas of the city, with accommodation, food and beverage, and retail facilities nearby, this is such a central location for your business.